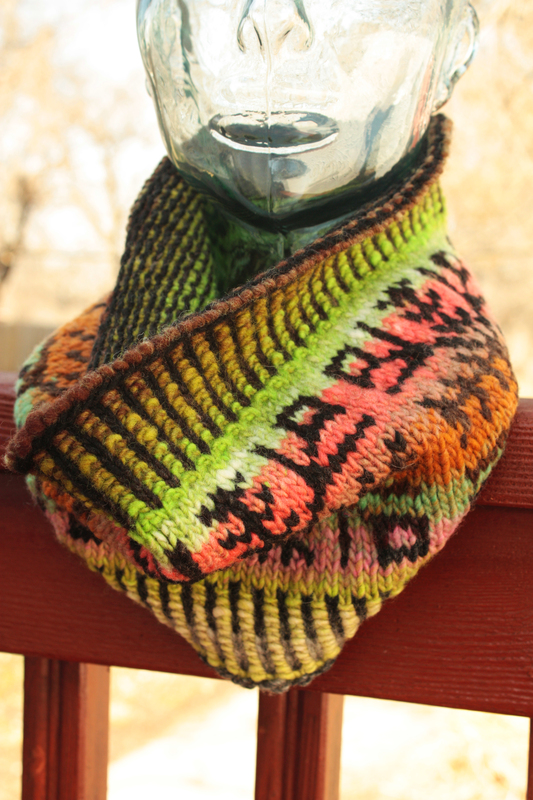 A stranded cowl in worsted-weight yarn. 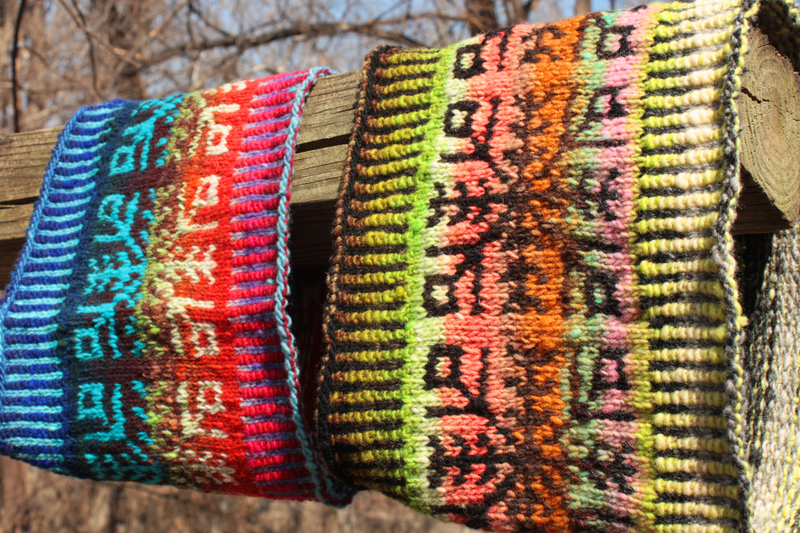 Version 1 uses a yarn with a long color repeat; Version 2, a shorter color repeat. 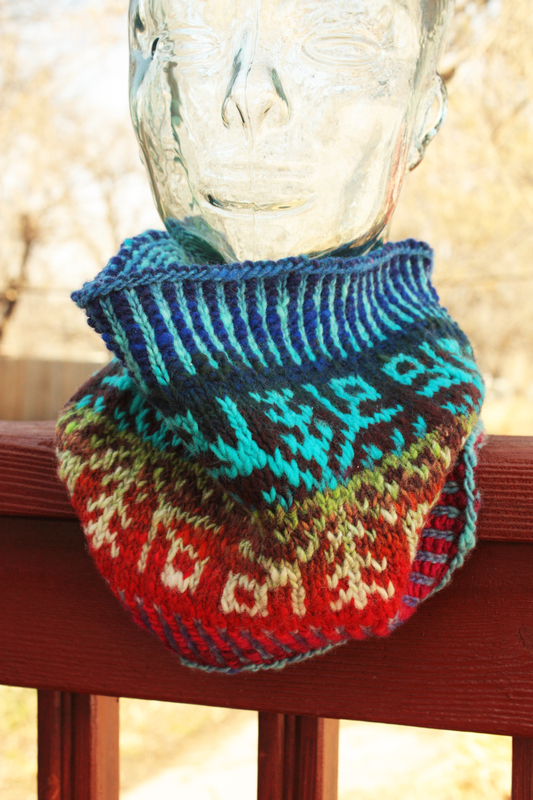 Try mixing things up and use a solid for one of the colors. The possibilities are endless, so let your imagination run wild!